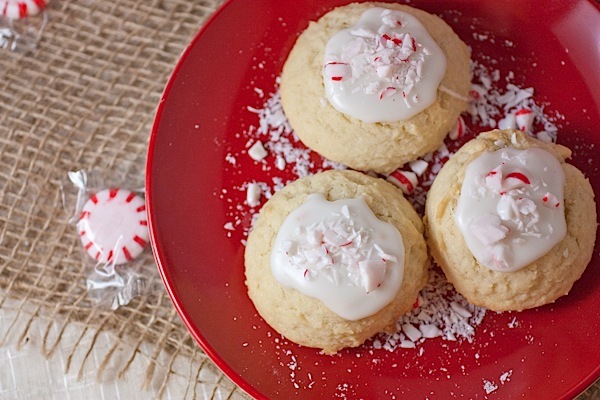 Whether you really love the flavor of peppermint or you’re just trying to figure out what the heck to do with all the leftover Christmas candy sitting around your house, these Peppermint Snow/Dough Balls are sure to fit the bill. I made two variations of the recipe – one with candy pieces on top in frosting (pictured above) and another that is more like a snow ball with candy inside the cookie and powdered sugar on top. The key to both is the use of crushed Christmas candy (candy canes, peppermint swirls, etc.). 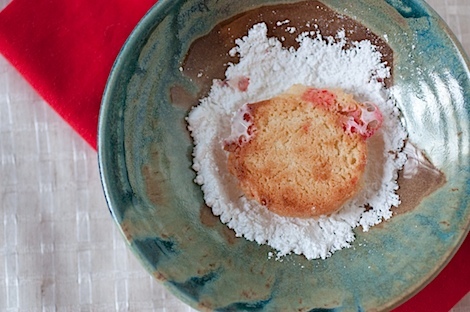 …the first is more like a sugar dough ball as the base with the candy sprinkled on top of creamy, sugary glaze. 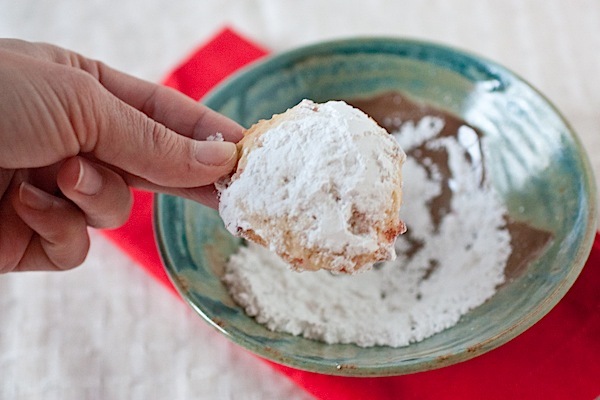 The latter gets the candy mixed into the batter and then gets dunked into powdered sugar. So, it looks like a snow ball! …and I took some to a friend’s house for taste testing. The result of which version was better came down to personal preference. Bake up a batch of each and decide for yourself! 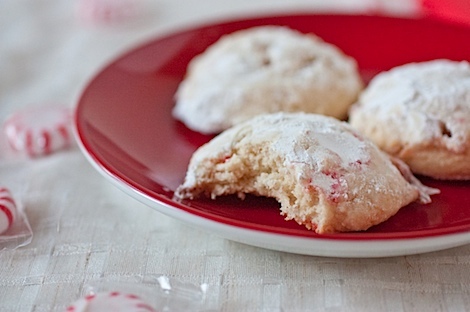 You can even split a single batch of cookies in half and try both methods (at least that’s what I did!). This recipe makes great use of leftover Christmas candy. 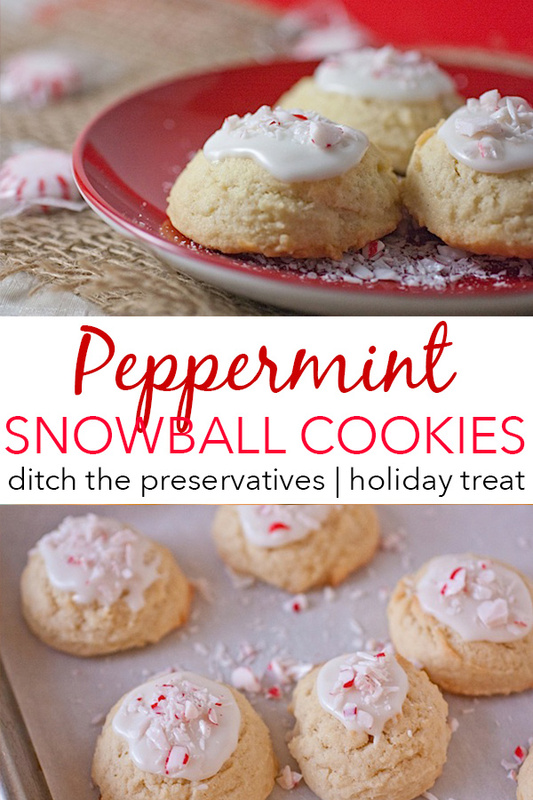 Just crush it up and choose one of the two methods below to add it to a peppermint-infused sugar dough ball. 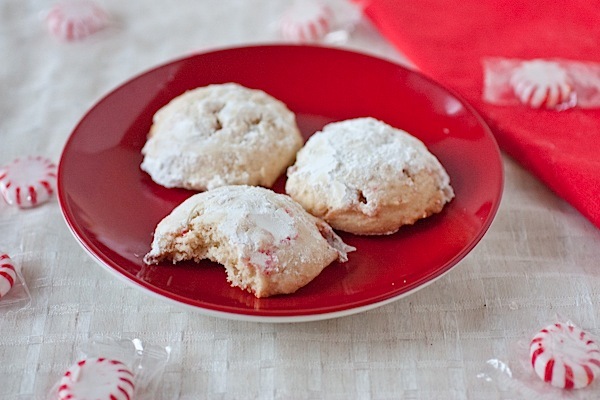 You can either bake the cookie, top it with icing, and sprinkle candy pieces on top (this is the method described in the main recipe) or stir the candy pieces into the cookie batter, bake, and dunk the cookie in powdered sugar to make it look like a snow ball (this is explained in the alternate directions below)! You can even make these well ahead of time and freeze them till you’re ready to bake them, which makes these dough balls great for entertaining. In a medium bowl, mix sugar and butter till creamy. (I used a handheld mixer, but you could probably just use a whisk). Add egg and peppermint extract and mix till combined. Mix wet into the dry. Note: it will appear there is not enough liquid for the amount of dry ingredients, but continue mixing. It will form into a dough, it will just be a firm dough. See tips on this post (click) for combining. Careful to not overmix. I’ve found pressing the back of a firm, medium/large spatula into the dough seems to work well. Also note: if you want to go with method #2 for this recipe, see alternate directions below because you would mix the candy in here for that alternate version. Use a small sorbet scoop to scoop out dough into small mounds. Spread evenly on a baking sheet so mounds don’t touch. Freeze for at least 30 minutes, though 1 hour is better if you can wait that long. I often leave mine in the freezer overnight or till I’m ready to eat them. Pre-heat oven to 400 degrees F. Bake balls for 10-11 minutes, depending on how set you want your centers. If you use egg, and you’re paranoid like me, you can use a meat thermometer to ensure the centers of the balls are at least 160 degrees F, which many web sites say is the safe temp to eat eggs. The tips should just be turning lightly brown. Let your dough balls cool to room temperature. Top with a bit of Simple Icing (see next recipe) and top with crushed candy. Follow steps #1-4 above. 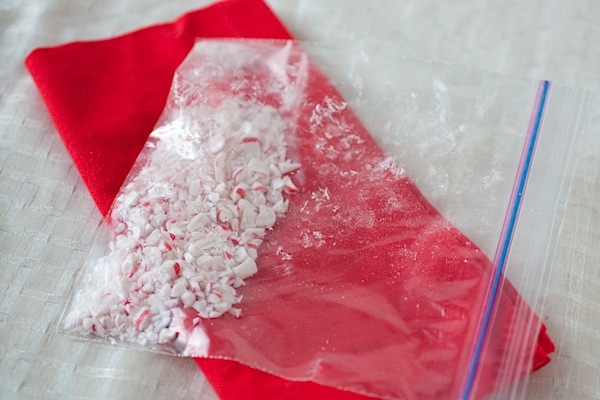 Stir in crushed candy pieces. Follow steps #5-6 above. Pour some powdered sugar into a bowl. 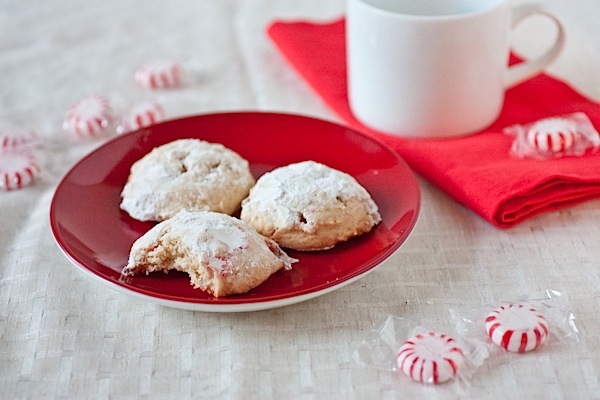 When cookies are still warm, but safe to touch, dip tops into the powdered sugar shaking excess off. Note: some of the sugar will be absorbed by the cookie. I’ve tried making this icing with water before, but milk just tastes so much richer and creamier. You’ll just have to be a little more careful since you’re using dairy. If you’re planning to leave the cookies out for a long time, you may want to consider substituting water. Either way, start with the directions below and add additional liquid as needed to get the icing to the thickness you want. In a medium bowl, combine sugar and milk and whisk until smooth. Add additional milk if needed. 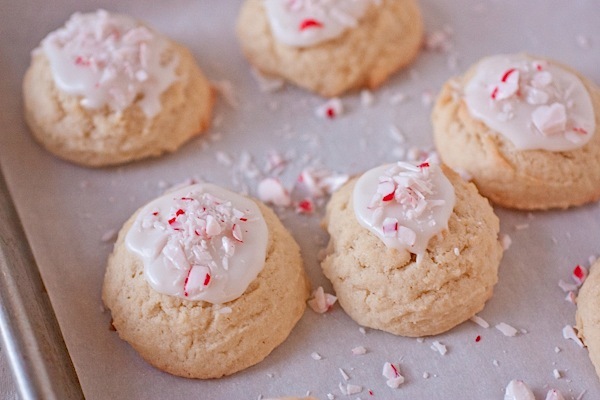 Peppermint-goodness. 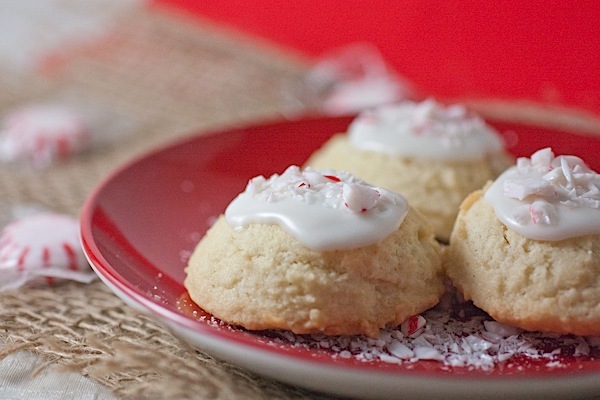 I may have to actually bake these before Christmas next year!